Another day at Painted Tongue Press! Printing another note card. The Cosmos plant is in the family Asteraceae – commonly referred to as the aster, daisy, or sunflower family. It is such a beautiful flower. 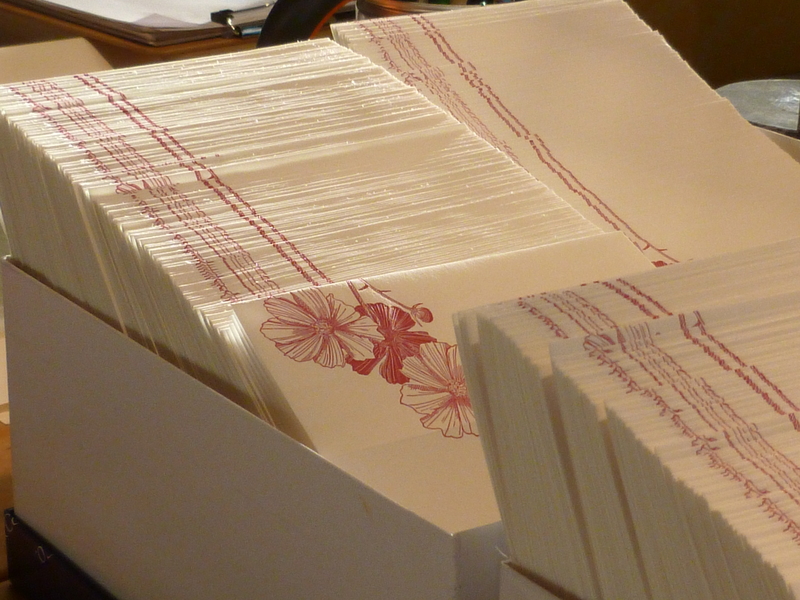 Printing it today reminded me of an early summer day, imagining a field of cosmos flowers swaying in the warm breeze. 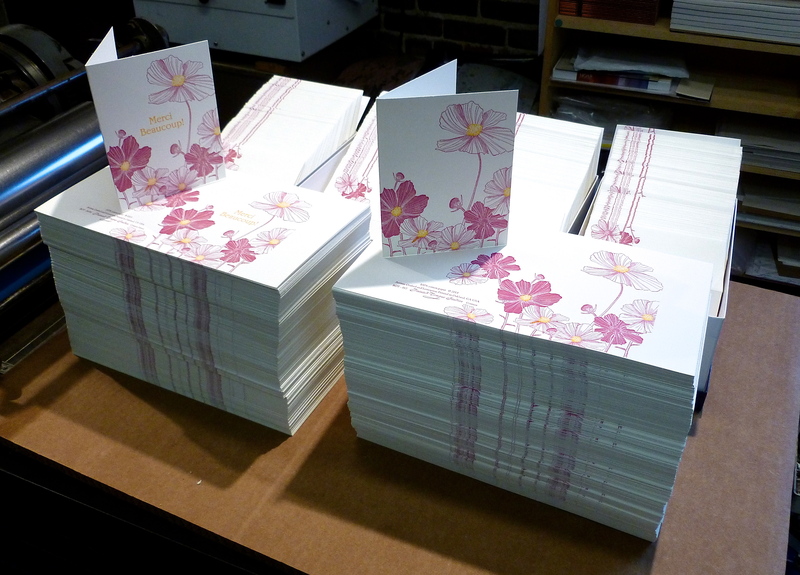 At the end of the day I finished about 700 envelopes, 340 note cards and another 340 ‘merci!’ cards. What fun to print! And I had company in the studio: Bill was there, working on his ‘Looking for Matthew‘ project. It’s always special to have great company.